Why is it that we have movies with Sylvester Stallone climbing majestic mountains in Colorado and Tom Cruise scaling the tallest building in the world in Dubai, but Spider-Man (the Wall Crawler himself) has been confined to New York City for his first four feature films? Don’t get me wrong, the Big Apple is a perfect stomping ground for Spidey with all of its skyscrapers for him to swing around. But does he really have to spend every minute of every film within those city limits? There are quite a few other big cities and high-elevation locales for him to visit. I think it’s long overdue that Spider-Man gets a change of scenery. I would love just once to see Spider-Man have an adventure in the Colorado Rockies, the Himalayas, or some other incredible mountain range. Can you imagine the creative possibilities those locations would provide? I mean, Cliffhanger is a great movie and all, but they had to keep things fairly realistic to make it work. 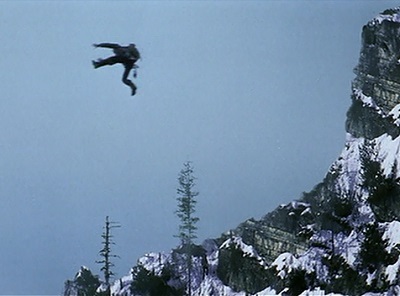 When test audiences saw Stallone attempt a 100-foot jump and safely land on the face of a cliff, they laughed out loud at how ridiculous it seemed. It was cut as a result. But that kind of stunt would be perfectly plausible in a Spider-Man film. Seeing Spider-Man crawling through caves would also be an amazing sight. It would make him seem more spider-like. Maybe a jungle, swinging from trees like Tarzan, or a desert where he’d… well, maybe some locations are better left untapped. The point is let’s get him out of his element and see what happens. The precedent for pulling a superhero out of his comfort zone has already been set by Batman. The first four Batman movies, from 1989’s Batman to 1997’s Batman and Robin, kept the Dark Knight contained in Gotham City. Batman and Robin did include a few scenes of Poison Ivy and Bane in South America, but Batman himself never left the city he is sworn to protect. But then Christopher Nolan came along and changed all that. His movies are still centered on Gotham, but Wayne leaves the country in all three films, traveling to China or being banished to the Middle East in service of the story. 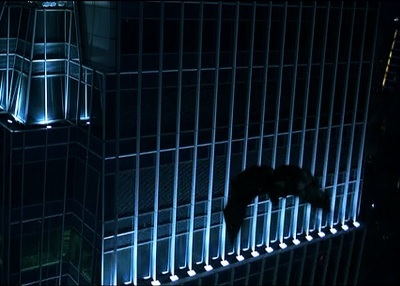 By broadening the films’ scope, Nolan introduced a new element to the character: the fact that his actions impact the larger world, not just a small area. If Batman could fly from one building to another in a memorable Hong Kong sequence, imagine how amazing it would be to see Spider-Man make a daring escapade through that city’s glittering skyline. The upcoming Sinister Six and Venom films provide even more impetus to expand the story beyond one city. In the Sinister Six film, such a big collection of villains implies that they should have grander plans than just taking over New York or threatening Peter’s girlfriend. They should have continental or even worldwide ambitions that require all of their efforts to make such a scheme feasible. That’s a perfect chance to widen the story’s scope and introduce Spider-Man to a much bigger problem than he’s faced before. In the comics, the Alien Symbiote that becomes Venom was discovered on another planet during the Secret Wars. If you thought the massive Marvel team-up in The Avengers was jaw-dropping, just imagine throwing in several members of the X-Men and Fantastic Four, plus every awesome villain in the Marvel Universe, and you’ve got one seriously epic story. I’m not saying Spider-Man needs to leave Earth, but a little foray to a foreign country could be just what the series needs. I like the new direction The Amazing Spider-Man took, but there are still so many untapped possibilities for the character and his story. Here are a few ideas. Oscorp Industries is most likely a multinational corporation. What if it sends Gwen Stacy to check on one of its plants in Europe or Asia and she gets into trouble? Then Spider-Man would have an excuse to go on an overseas adventure. Or what if Peter was assigned to take pictures of the Olympics or some other big event by the Daily Bugle and something went wrong, like a terrorist plot or a horrible accident threatening the lives of thousands? That kind of thing happens to Clark Kent all the time in the movies and the comics. That’s why he took a job as a mild-mannered reporter in the first place, so he’d be the first to know about bad news. There are so many interesting situations just waiting to be explored. I hope The Amazing Spider-Man 2 starts to expand the story’s horizons beyond Long Island. If not, there are plenty more sequels and spinoffs in the works, and we will hopefully spot Spider-Man in a new friendly neighborhood soon. This entry was posted in Random Stuff and tagged action movies, adventure, avengers, batman, comic books, films, movie review, movies, science fiction, sequels, spiderman, superman. Bookmark the permalink. Spiderman has always been a local hero. He’s not a millionaire like Bruce Wayne (Batman), or Iron Man, and he doesn’t fly, like Superman, or Wonder Woman. He can’t afford to go jetting off to foreign countries at the drop of a hat. That being said, he probably could visit another American city, although not too far from home. That is definitely true. But an occasional venture off the island is certainly feasible, especially if Peter Parker’s expenses are paid by his job at the Daily Bugle, as I noted in the article. In the comics Spider-Man has often visited other countries and places, such as Canada, UK, Germany and even the Savage Land, the prehistoric valley hidden in Antarctica, where he faced dinosaurs and other beasts. Watch Ultimate Spiderman. He goes waaaay outside of NYC. Just sayin. Sounds interesting. Thanks for the suggestion. He almost made it out of New York in The Amazing Spider-Man 2. So close.